Turkish General Staff said late Friday at least 44 PKK members were killed in the ground operation launched on Thursday night, as the U.S. repeated its support to Turkey's right to fight with PKK. The head of the regional Kurdish government in Iraq warned Turkey. "We have been in contact with the Turkish Government at several levels and we continue to express our absolute solidarity with Turkey about the PKK. This is a common enemy of the United States and Turkey. It is also an enemy of the Iraqi people and the Iraqi Government, because the Iraqi territory cannot be used for terror -- should not be used for terrorist attacks against Turkey" she replied when reporters asked whether the U.S. was concerned about the operation. The operation should be of the shortest duration possible, Rice added. As Turkey's ground operation in northern Iraq continues, a mine blast killed one soldier and injured another one on Saturday in the in the southeastern province of Bingol. Heavy fighting and artillery fire continued late into the night Friday as Turkish troops fought PKK members near their bases in the mountains of northern Iraq, local residents told AFP on Saturday. Villagers in the area said they heard sustained exchanges of automatic fire in the Hakurk and Sidekan regions, on the Iraqi side of the border across from the Turkish town of Cukurca, as fighter planes and helicopters flew reconnaissance missions throughout the night, according to AFP. The Iraqi government said on Saturday that less than 1,000 Turkish troops had crossed the frontier to carry out operations against PKK hiding in a mountainous border region. Government spokesman Ali al-Dabbagh said Turkish commanders had assured the Iraqi government that the "operation will be a limited one and it will not violate certain standards that they have set. They are targeting several PKK fighters and the Turkish troops are taking care of this," he added. 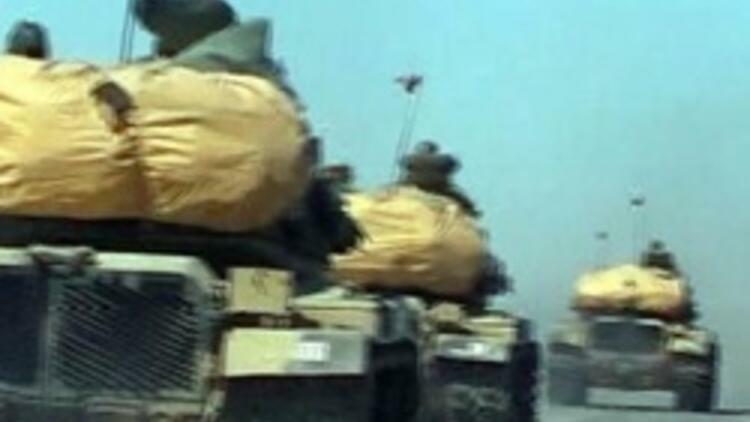 Turkish television said between 3,000 and 10,000 soldiers had entered Iraq, but several Iraqi officials and a military source with U.S.-led coalition forces in Baghdad said only a few hundred troops were involved. The senior military source told Reuters two brigades made up of around 8,000 troops had taken part in the offensive. The General Staff did not specify the size or length of the surprise operation, given the poor weather conditions. Iraq's Kurdish region, usually one of Washington’s closest friends in the region, on Saturday attacked the United States for green-lighting a Turkish incursion onto its territory.